It’s easy to get caught up in the splash and flash of annuals. They’re usually in bloom when you go to the nursery. And their siren’s song of color, form, and fragrance has a mighty appeal for the garden junkie. But for enduring performance and outstanding value, perennials are where it’s at. Somewhat more reserved in character, they don’t always have the same immediate visual impact that the strutting annuals do. And even after you’ve planted them, it may still take a year or two before they put on a full display. 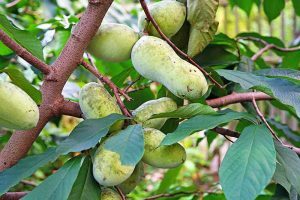 However, once established, they are easy to grow, reliable, and low maintenance. 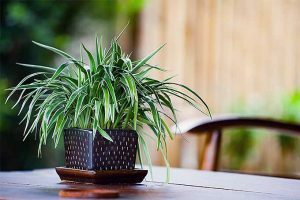 Plus, most of them can be divided into new plants – making them cost-effective as well. 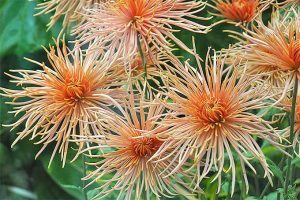 In this article, we’ll cover the reasons why we should divide perennials, when to do so, how to do it, and which plants are best suited for division. 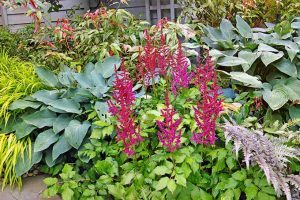 Once they’ve become established in a happy spot, perennials are adherents of Mr. Spock’s mantra to “live long and prosper” – and the occasional splitting of the host plant will help them to do just that. 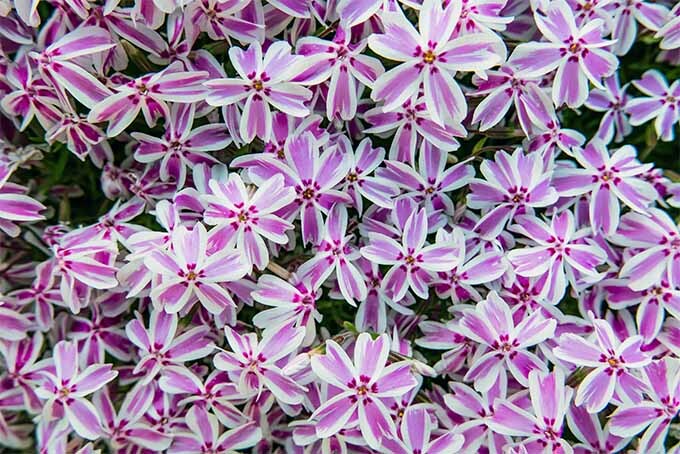 Phlox is a perennial plant that you can divide to improve performance. 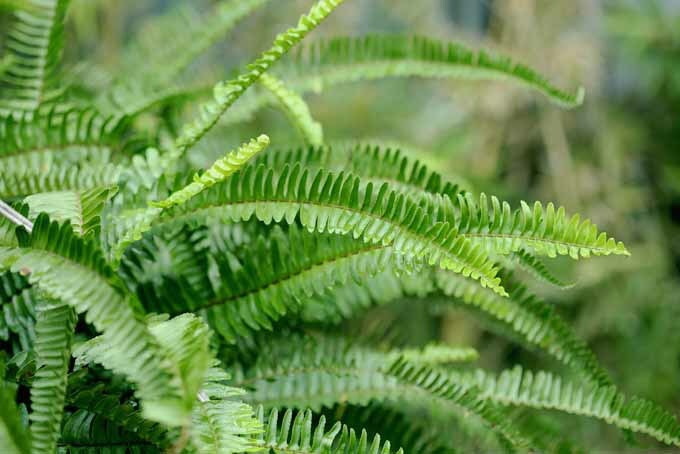 We love the robust growth habits that are a key characteristic of these long-living plants. However, vigorous growth can also make them unmanageable in terms of size, shape, and spread. Portioning a clump of plants will help to keep their size manageable, while retaining all of their vitality and display qualities. When left unchecked, a plant will continue to grow and spread. Unfortunately, as the roots spread outward this can result in the center dying out, which leaves an ugly bare patch. With regular division, dead materials are removed, and replanted sections are healthy, centered, and energized. Splitting plants is also a good way to protect them from pests, like insects and fungal disease. Lifting them out of the soil will expose any grubs or larvae that may be destroying the roots. And portioning is the most effective way to curtail any infections above ground. Simply cut out and remove the affected areas until you’re left with only healthy growth. The number and size of blossoms and seed heads is one of the first characteristics to suffer when a mature plant becomes overcrowded. 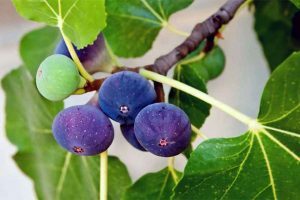 Overall performance will suffer as well, with maladies like stunted growth and a general lack of vitality being common problems. When they’re too crowded, flowering perennials will often produce fewer and smaller blossoms in order to conserve energy. The same is true of ornamental grasses whose seed heads and plumes are valued for their visual appeal. Roots that have become cramped can’t access the nutrients and moisture needed to flourish, and the soil that is available will soon become depleted. Splitting up clumps of perennials will ensure they receive proper nutrition for the best possible display. Vigorous growers can take up more than their fair share of space, sunlight, water, and nutrients, depriving their nearby neighbors. This unequal consumption of resources can crowd out, overshadow, or simply overwhelm smaller or newer plants. The occasional splitting of the most vigorous or aggressive growers will keep all the plants on the block happy and healthy by allowing equal access to food and water. 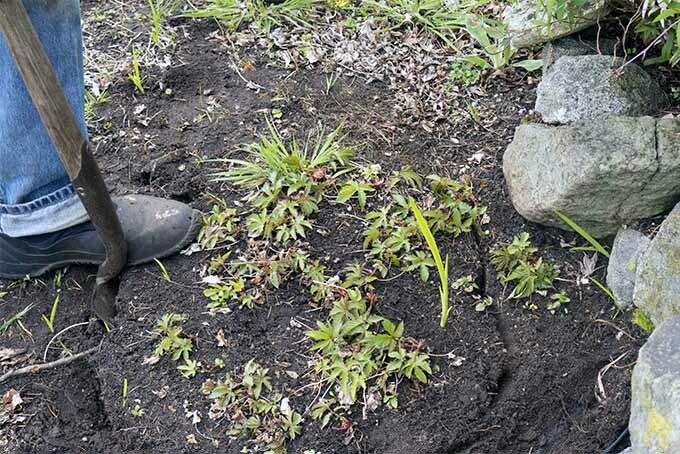 The ability to easily propagate new plants by root division makes many perennials very cost-effective. Plus, plants that are split in this manner will still put on a nice performance in the same growing season. You can quickly build an attractive gardenscape by placing new divisions of the same plant throughout the garden. Dividing and transplanting multiples of the parent plant is an economical and natural way to enhance the design principles of harmony, line, balance, and repetition – and gives a professional, polished look to your plantings. And of course, potted divisions always make a wonderful gift for the gardening enthusiast, or as a contribution to community plant sales. Digging up and cutting into root balls is stressful for plants, so you want to perform this process when they can recover as quickly and easily as possible. Split iris rhizomes when they’re 2-5 years old. The ideal conditions are when the soil is cool and moist, and the air is warm – which usually means spring and autumn. This will allow divisions the necessary time to settle into their new environment and establish a strong root system. 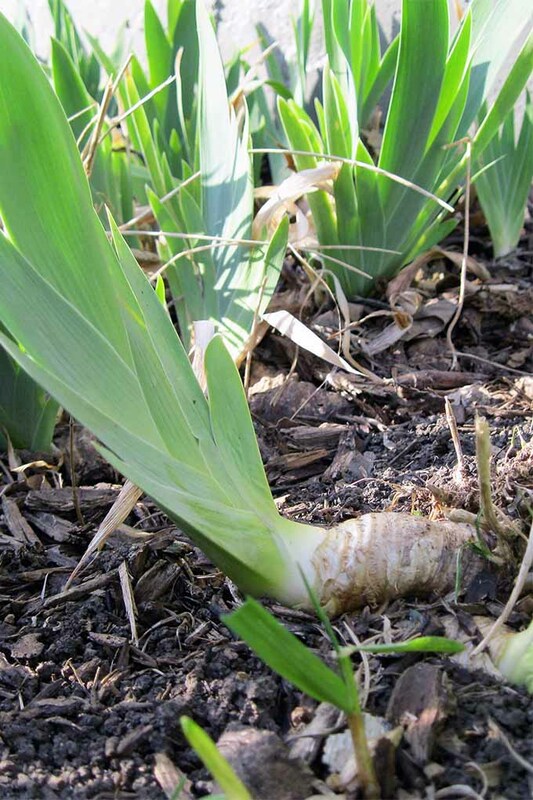 There are exceptions of course, like the bearded iris, which should be divided in summer (see Rhizomes and Tubers below). But spring and fall work best for most perennials. If possible, divide perennials on a cloudy day, and when a few days of light rain are in the immediate forecast. 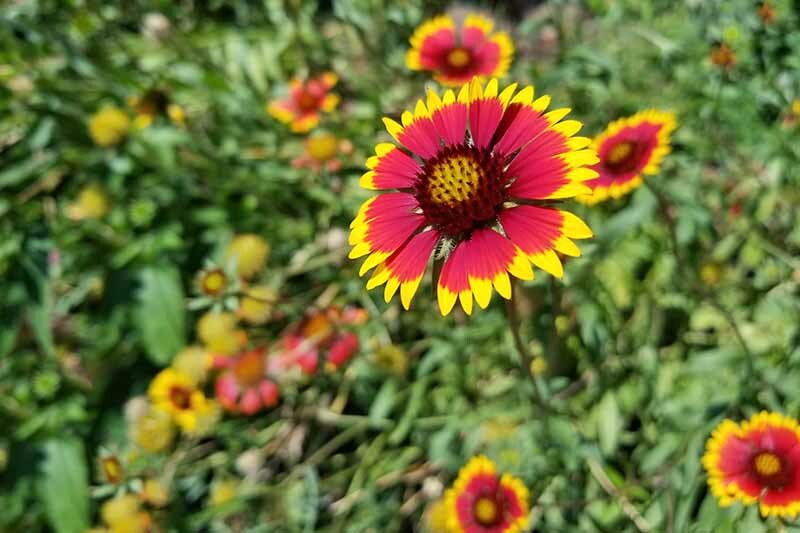 As a general rule of thumb, spring and summer bloomers are best divided in the fall, and fall-blooming perennials should be split up in the spring. Spring transplants should go into the ground several weeks before the hot weather arrives. And for fall transplants, planting can continue until 6-8 weeks before the first frost. This is to allow the roots to become established before the extreme temperatures of summer and winter set in. Remember: never split a plant when it’s flowering. You want all of its energy to be directed into the leaves and roots for a robust foundation. If you must divide in the summer, avoid the midday heat and split your perennials in the early morning or late afternoon. Ensure that the new holes where you will place the roots have been thoroughly soaked before transplanting. Keep the plants well-watered until they’ve had a chance to recover. This can take anywhere from several days to a couple of weeks. 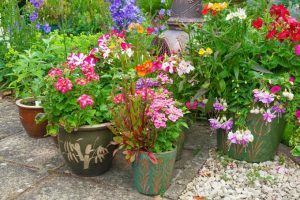 You also want to ensure that your plants are large enough to create at least three or four new clumps before splitting. Portioning them too early will result in small plants that underperform, and may be too much of a shock to recover from if they haven’t reached full maturity. 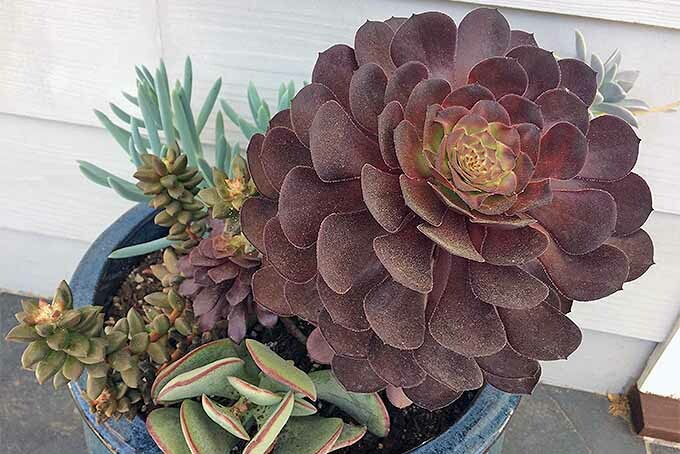 Potted perennials can usually grow for 2-3 years before they need to be split and repotted, while those in the ground can often grow for 3-5 years before they need to be split. Before you actually dig up any plants, a little prep work is needed. 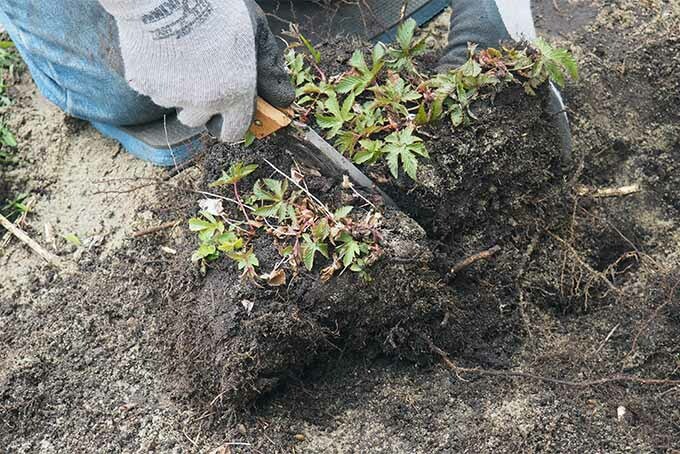 Your divided perennials are going to need new homes to inhabit, and it’s always prudent to prepare this area before the old plant is removed. First, determine the location(s) for your new plants and prepare the soil. The new hole should be twice as wide as the width of the root ball that will reside there, but no deeper than the original height of the root size from base to crown. To give your plants the best chance for success, I suggest digging deeper by 6-12 inches (depending on the plant’s size), then refilling the hole with amended soil to the height required for planting. 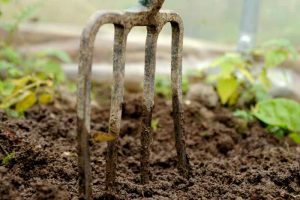 Double digging in this manner loosens up the soil below the root ball, which allows the roots to grow straight down rather than spreading sideways. Deep roots will stay cooler in the summer heat, and have access to deeper reserves of moisture and nutrients – which means less watering and fertilizing for you! 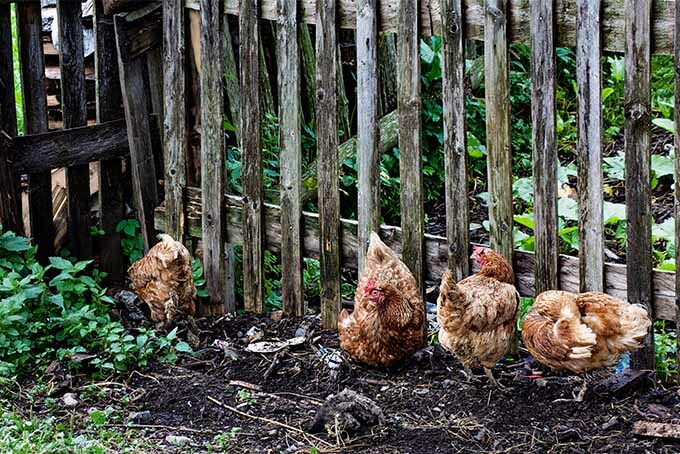 Amend all of the soil that you have removed by mixing in some organic material such as compost, worm castings, or well-rotted manure at about 25 percent of the volume. It’s also helpful to add in another 20-25 percent of moisture-retaining material such as perlite, vermiculite, sphagnum moss, or peat. Or, if your area gets an abundance of water, mix in 20-25 percent builders’ sand to improve drainage. Finally, mix in some bone meal to help with new root growth. If your plants are going into containers, ensure that the planters have drainage holes and a layer of drainage material on the bottom. Then add the above soil mixture to the proper height for planting. Once your soil has been prepared, it’s time to remove the old plant. 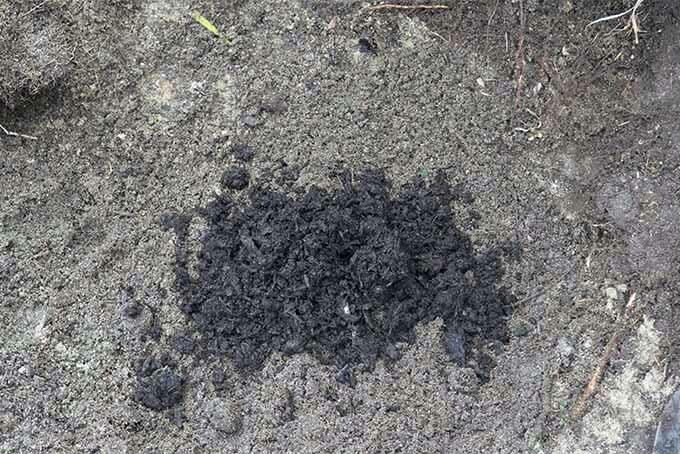 Regardless of when you split a clump, your task will go much easier if the soil is well-moistened. The first step is to establish the drip line. This is the outer reach of the foliage and flowers when in full bloom from the center of the crown. The drip line is approximately how far the roots will extend, and it’s a good guideline for digging. 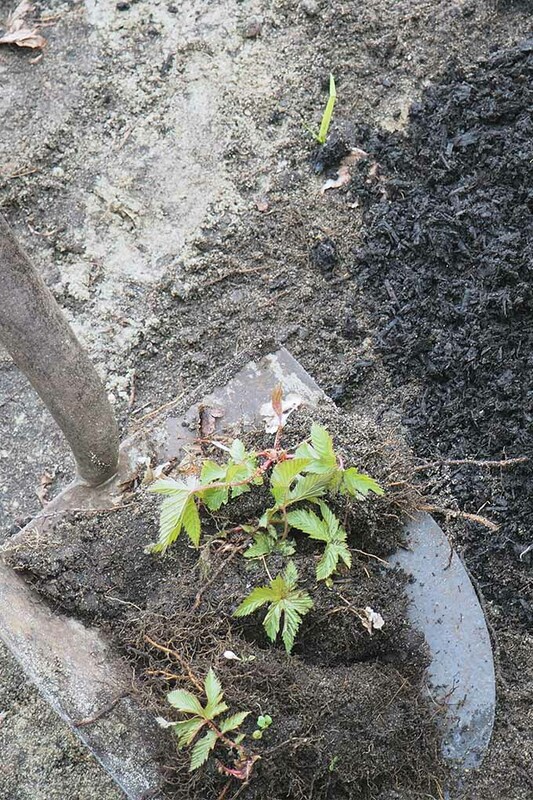 To isolate the clump, step a pointed shovel deeply into the soil all the way around the drip line. Next, insert the shovel on a deep diagonal from the drip line, under the root ball. Do this at 4-8 equally spaced points around the drip line to keep the root system intact. Once the root ball has been loosened, lever the shovel a few times to ensure all the roots are released. Position the root ball on the shovel and lift it out, keeping everything as intact as possible. 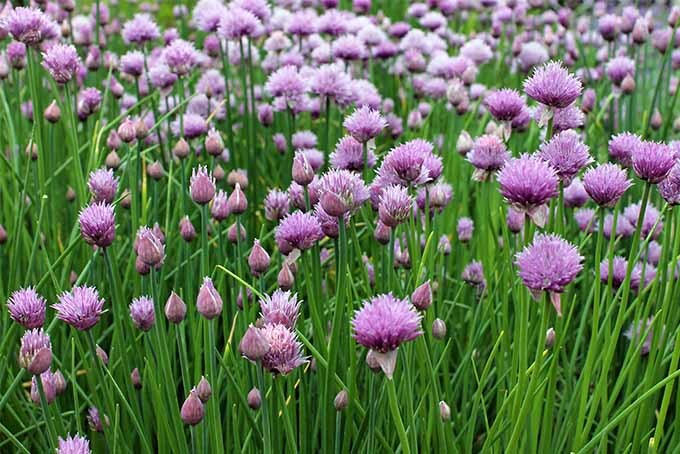 To make it easier to separate the clump, gently shake or brush off any excess soil. Some crowns can be separated by pulling apart with your hands, while others will need to be cut apart. 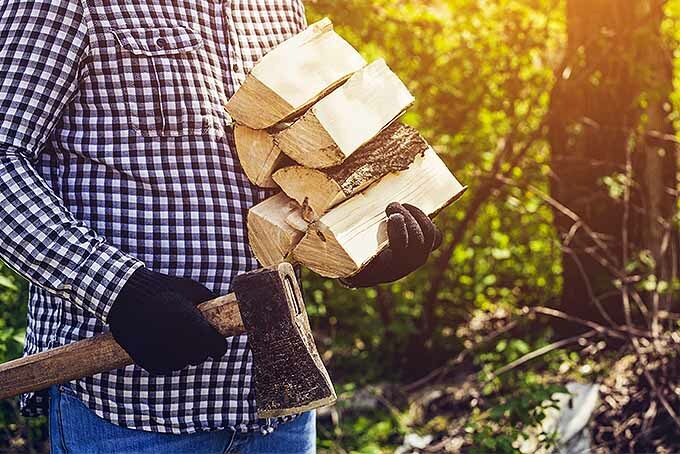 Depending on the size of the root ball you’re working with, the best tools for thick, tangled roots – like those of ornamental grasses – are a hori hori, a folding garden saw, or even a sharp shovel. If your root mass is very tightly compacted, lift it in the air a few feet, then drop it on the ground. This will loosen the roots, making them easier to divide. However, you’ll want to avoid this method on plants with brittle roots, such as peonies. 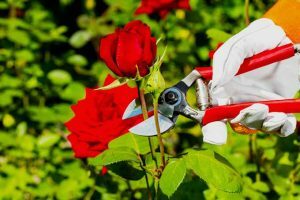 Pry apart or cut each clump into quarters or thirds, ensuring that each new plant has a healthy root network, plus leaves. To reduce shock and prevent roots from drying out, replant the divisions pronto. If your plants can’t go into their new home immediately, heel them in the garden until you’re ready to plant. To reduce shock and prevent roots from drying out, replant the divisions pronto. 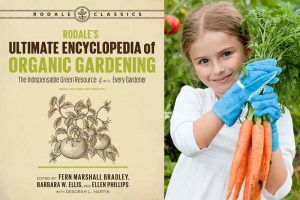 To heel plants, loosen some soil and lay plants on the ground, nestling the roots into the loose soil – half to three quarters of the root mass if possible. Then pile soil loosely on top of the remaining root ball to cover. Water gently, but avoid overhead watering as it will wash away the loose soil. Heeling in this manner helps to keep roots cool, and prevents them from drying out until they can go into the ground. It also protects plants from getting knocked over and other accidental damage while waiting for a permanent home. Plant at the same depth as the root ball, then gather the soil in. 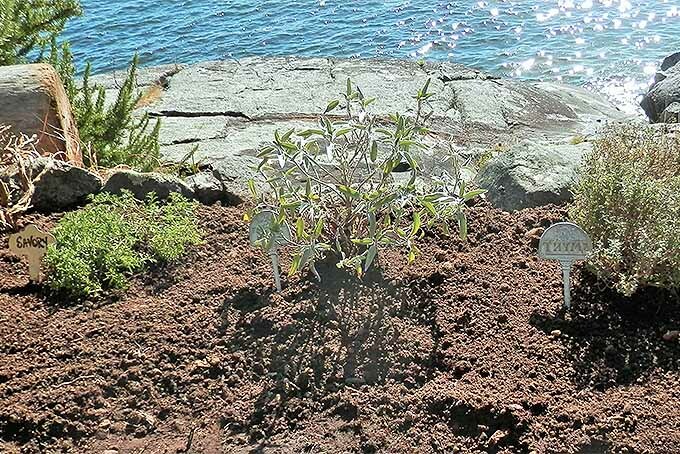 Firm the soil around the roots to securely position new plants, but don’t hard-pack. Water gently but thoroughly to settle in place. Then cover with a two-inch layer of mulch to retain moisture and protect plants as they become established. 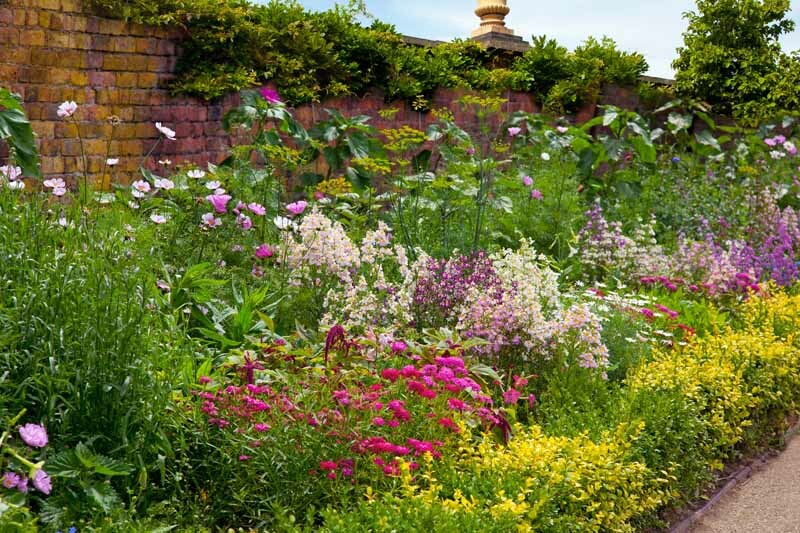 Which Perennials Should Be Divided? In general, plants with soft, green stems that form clumps or spread by runners are suitable for root division. Bleeding hearts and peonies also belong to the list, but they rarely require splitting. Of course, there are always those plants that fit the general description, but will sulk if you try to divide them. 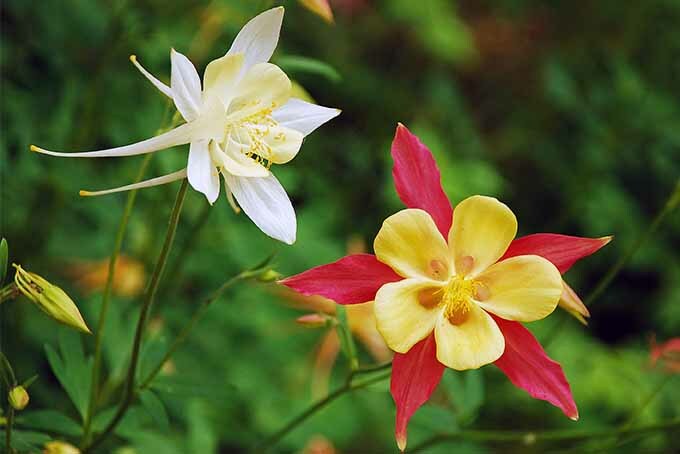 We don’t recommend dividing columbine plants. Columbines, euphorbias, hellebores, and lupines all self-seed easily, so look for seedlings at their base – these are much easier to transplant. 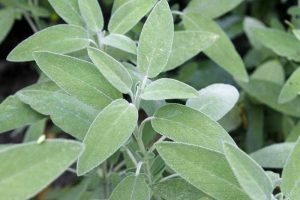 Many herbs also seem suitable, but they are actually small, woody shrubs, and better suited to propagation through stem cuttings or from seed. Instead of dividing, these woody herbs will often form rooted layers that form when branches from the parent plant touch the soil and develop their own roots. 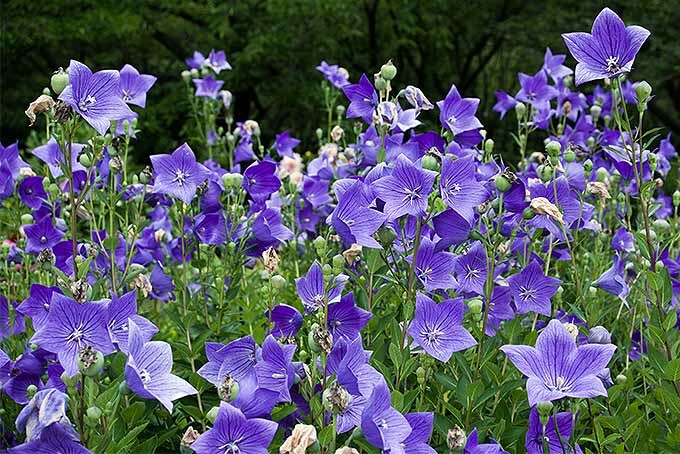 These can be cut away from the host plant with a sharp knife, then transplanted in the same manner as divisions. 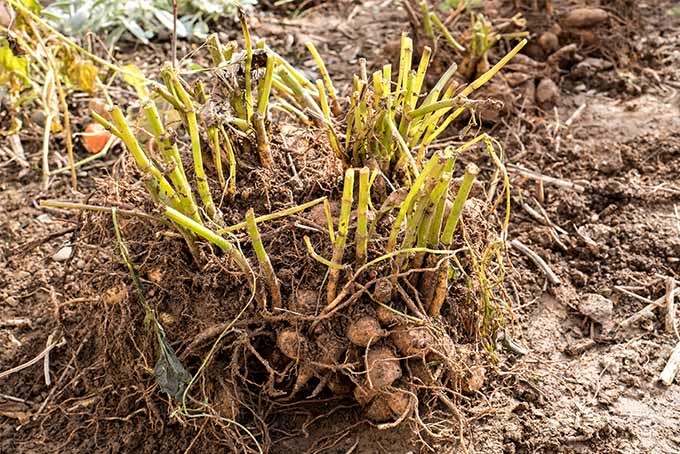 Rhizomes and tubers are perennials, and they do form clumps of growth that benefit from occasionally being split. A dahlia plant has been lifted out of the ground in preparation for division. But due to their unique root structure, they need to be handled differently than many other plants. Rhizomes are thick, fleshy stems that grow horizontally at, or just above, the soil level. In tropical regions, ornamental ginger is a common garden rhizome. And in temperate zones, the bearded iris is well-known. These rhizomes should be divided in the summer, or after flowering while they rest – about a month or so after the last flowers have finished, but 4-6 weeks before the first frost. Split rhizomes when they’re 2-5 years old. 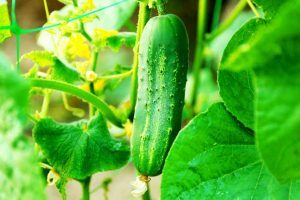 Remove them from the soil, then cut or break apart in sections 3-5 inches long. Discard any old pieces or sections that are soft, mushy, or powdery. Each new section should have roots and one fan of green leaves, which can be trimmed back to 3 inches. Replant in loose, friable soil that’s been amended with organic material, with just the top of the rhizome peeking above soil level. 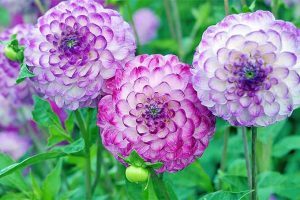 For tuberous roots, like dahlias, tubers should be separated in the spring before planting, or in the fall before storing. Cut the tubers apart with a sharp knife – one with a straight edge, not a serrated one. 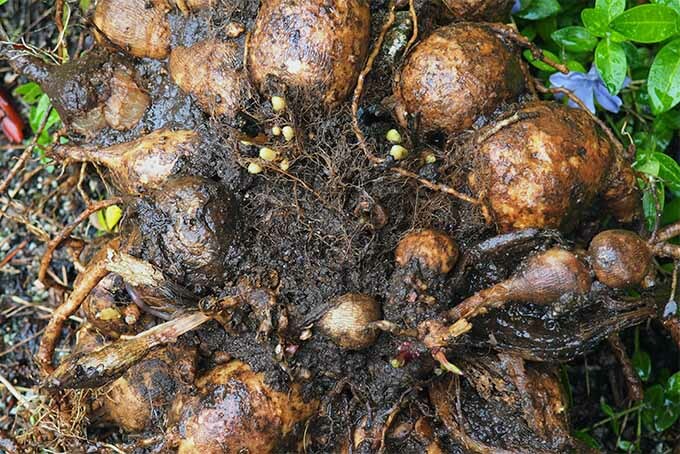 Each new tuber needs a section of the original stem, and a bulbous growth bud or “eye.” Plant tubers 6-8 inches deep in loose soil amended with organic material, with the eye pointing upwards. 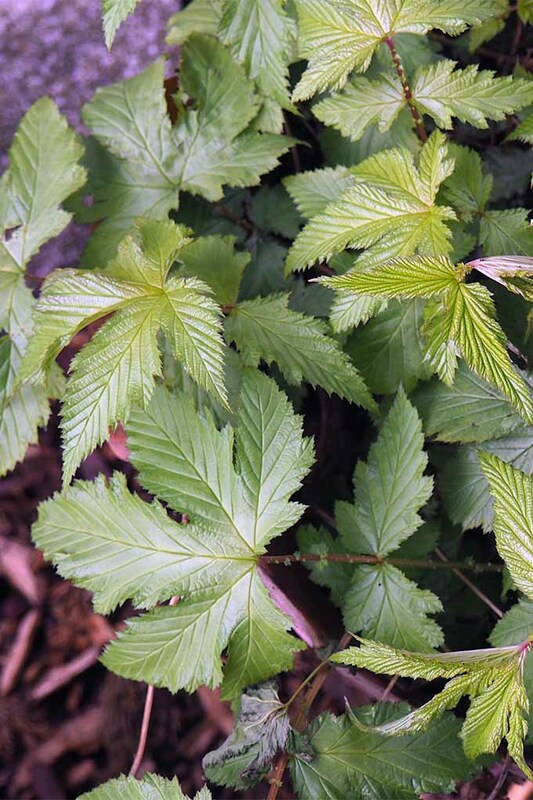 As you can see, there are plenty of good reasons to divide your perennials – they’ll thrive with renewed growth and vigor, and your entire garden will benefit from this one simple task! 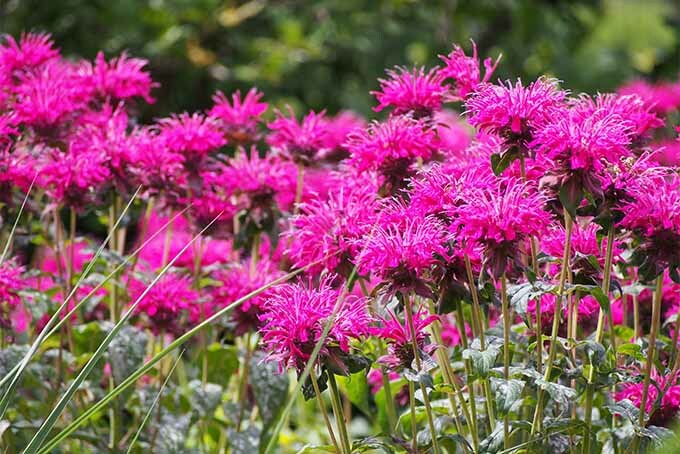 Bee balm is a good candidate for dividing. 1. 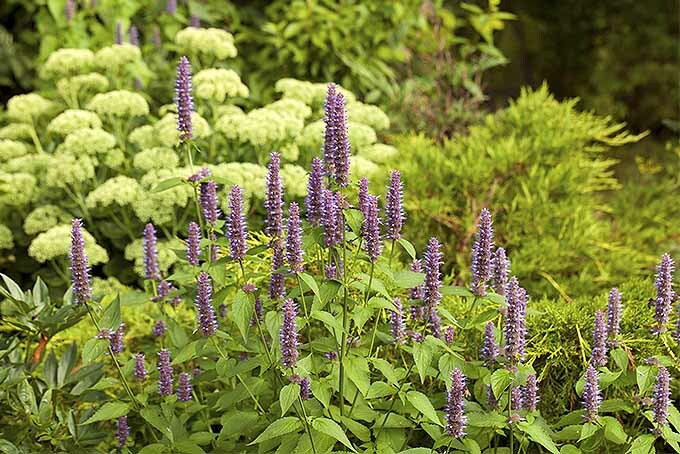 Most perennials are best suited for division in the spring or fall. 2. Prepare new homes for them first, then remove, divide, and replant. 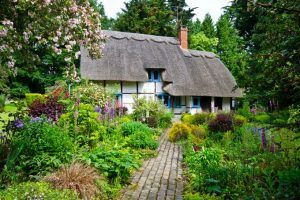 With just a little bit of care and maintenance, your perennial gardens will provide long-lasting beauty and a healthy, unified appearance in the garden for many years to come. Do you readers have any thoughts on the subject? Let us know in the comments below! Thanks Anita, glad you enjoyed the article!